The single layer of cells that line our gut has a total surface area larger than a tennis court. If this delicate single-cell layer is compromised, our health very soon deteriorates – with potentially fatal consequences. The unsung hero responsible for protecting our intestinal health is a chemical called butyrate. Let’s take a quick look at just how important this little-known short-chain fatty acid (SCFA) is and why dietary fibre is so vital to its functions. There are literally trillions of bacteria in our intestines (also called the gut) – some good guys and some very bad guys. What we want to do is ensure that the good guys survive and the bad guys (such as campylobacter or salmonella) don’t. But our bodies can mistake the good guys for bad guys if there’s not enough fibre in the diet – an increasingly common reality in the modern western diet of highly processed, low-fibre food. Good bacteria in the colon feed on fibre and produce butyrate as a by-product. 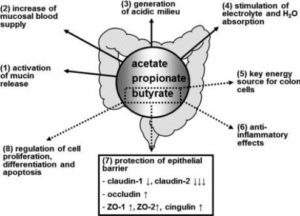 The butyrate in turn “calms down” our immune system, preventing it from regarding the good bacteria as foreign invaders and hence attacking them. However, if there’s insufficient buyrate being produced by the good bacteria – something that happens if they don’t have enough fibre to feed on – the immune system then assumes that the good bacteria are bad guys and attacks them. This can result in inflammation and the potential breakdown of the intestinal wall. Research has demonstrated clearly that when we feed the good bacteria in our gut, they feed us right back; but stop feeding them and the health of our gut will deteriorate rapidly. There’s an obvious evolutionary advantage for the good bacteria to want to keep us alive and healthy: if we die, they die. This isn’t the case for the bad bacteria (such as cholera) which cause diarrhoea. The result of this is that they spread out of our bodies and can infect other people. It makes no difference to the bad guys whether we live or die – so long as we produce enough diarrhoea to spread them about the environment before we die. Our immune systems have to maintain a fine balance between tolerating the good bacteria while attacking the bad. If this balance is disturbed by a lack of dietary fibre, it may lead to inflammatory bowel disease. Researchers found that butyrate “may behave as a microbial signal to inform [our] immune system that the relative levels of [good] bacteria are within the desired range.” If the butyrate levels are low, our immune system starts to attack all the gut bacteria. Butyrate has been involved in suppressing our immune systems for a very long time and for a very good reason. There are times when our guts are invaded by large amounts of bad bacteria. When this happens, we don’t want our immune system to go to sleep on the job – we want it to attack them and get rid of them. Once it’s done its job, and the bad guys are gone, the good bacteria will start producing butyrate and this will put the immune system back on “stand by”. But this will only happen if we eat enough fibre; otherwise, our immune system stays on “red alert” with the resulting bad news for our intestinal health. 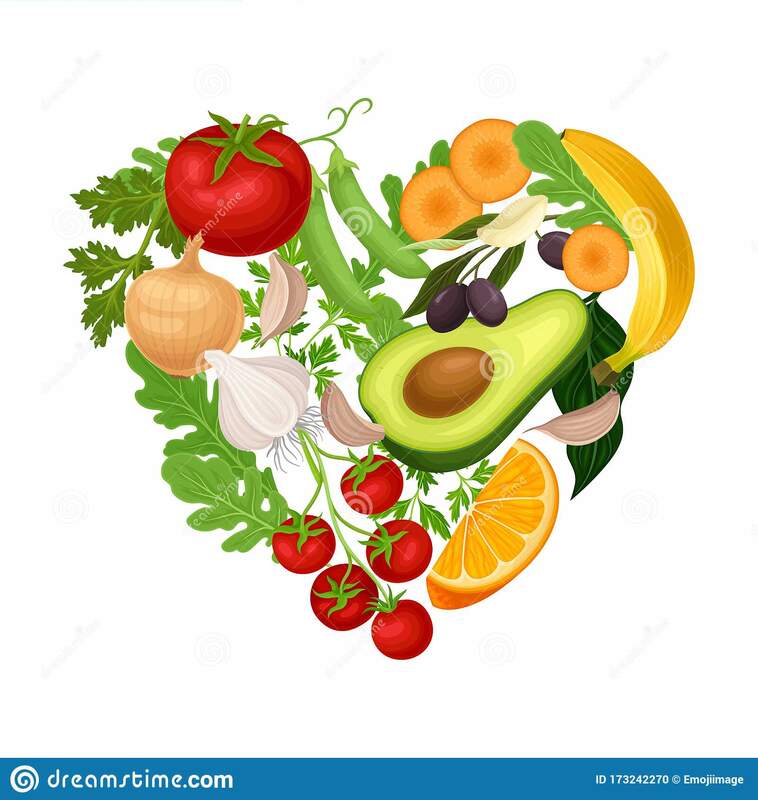 Whilst research shows that fibre intake is “critical for optimal health”, there’s no magic pill that will replace the role played by the fibre in whole plant food. True, you come across bold claims for the effectiveness of fibre supplements such as Metamucil and psyllium, but the above research suggests that these supplements do “not replicate the results seen with a diet naturally high in fib[re].” This opinion is supported by Dr Greger. A growing number of studies (see References below for a wide variety of related research papers) have revealed new mechanisms and effects of butyrate. The majority of research projects are, of course, working within the paradigm that requires reductionist methods to produce patentable outcomes (largely pharmaceutical in nature). And whilst the evidence suggests that the fork is more effective than the pill in treating chronic non-communicable diseases (diabetes, hypertension, cancer, heart disease etc), the very fact that the scientific community is so positive about the wide range of benefits of butyrate – from the intestinal tract to peripheral tissues – reminds me of how wonderful the body is at healing itself. However, in order to ensure we benefit from the full protection of butyrate, we need to eat a WFPB diet packed full of fibre. I Shai, D Erlich, A D Cohen, M Urbach, N Yosef, O Levy, D R Shahar. The effect of personal lifestyle intervention among health care providers on their patients and clinics; the Promoting Health by Self Experience (PHASE) randomized controlled intervention trial. Prev Med. 2012 Oct;55(4):285-91. Posted on 1st April 2018 By wholefoodplantbaseddietPosted in Nutritional Research, Whole Food Plant-Based DietTagged Butyrate, Fibre on a WFPB diet, Why is dietary fibre so important?, Why is fibre so important?